Thinking about community in a children’s book – Joyce's mystery and fiction book reviews with some non-fiction too! 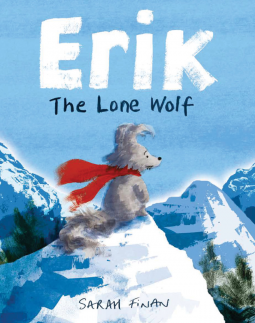 #ErikTheLoneWolf #NetGalley Erik is a wolf cub who feels that his pack is limiting him. He wants to have his own, individual adventures without outside constraints…and so, he takes off to experience just that. Through a simple illustrated story, reader and child being read to, can see what happens next and what Erik chooses and needs. In a way, this is a small, child’s version of Brene Brown’s Braving the Wilderness, a book that I previously reviewed.